To mix things up a bit here on my locals I love expat interview series, I decided to ask for a joint interview from two very awesome girls I know who work with The Florentine, the English newspaper in town who touch on fun subjects that reflect real reality, like this recent article about what sort of ‘weird’ jobs many of us have done in Italy. I won’t spoil the details but let’s just say one of them involved a possible enema. These bright youngins (did I really just type that word? cringe!) are hard-working and know how to have a good time. I can attest to this personally after joining the two for dinner at Gusta Pizza recently when after a pillow fight’ organized by the newspaper, Mary’s loudspeaker went off in the middle of the restaurant to the delight of everyone there. Instead of being embarrassed, Mary smartly took the high road and told everyone she was there to provide the entertainment with a resounding ‘prego’ . How can you not love that? Without further ado, let’s get to know these two awesome ladies! 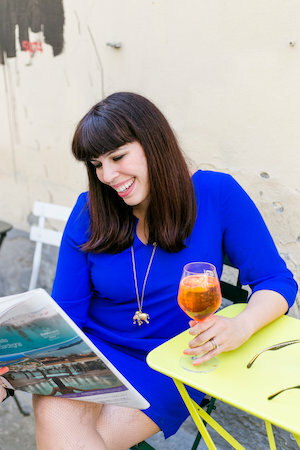 Catriona Miller: Scottish Events and Features Editor at The Florentine Drink: Cappuccino, regardless of the time of day and accompanied by pretty much any food (sue me). The occasional glass or three of prosecco never hurt anyone either. C: You follow me on twitter, although I don’t really understand tweeting, @_catriona19 or on Instagram @_catriona19 (I enjoy photos more) or at my blog, bellamozzarella.wordpress.com where you can follow my collection of life lessons learnt. How long have you both lived in Florence and where are you two from originally. M: I’ve lived in Florence for just over a year now, not including a study abroad stint. But I spent a year in Rome immediately before arriving back in Florence the second time around. I’m originally from Mississippi, so ciao y’all. C: I’m originally from Glasgow in Scotland and I first came to Florence three years ago to teach English in a secondary school for one year. I’m not sure if my pupils learnt very much, but I learnt never to go to Space Club, where they would all party. After having consumed more than my fair share of vino rosso and schiacciata and resigning myself to the fact that my name would forever be pronounced incorrectly, I returned here last September, after graduating in French, German and Italian from St Andrews University. I’m pretty sure Catriona’s eyes could have their very own instagram account. M: Here comes the long-winded version! I studied here as an undergrad and had never felt so “in my element”—that’s essentially the reason I’m still here. I knew I had to come back after college, but the initial plan was for just a year. 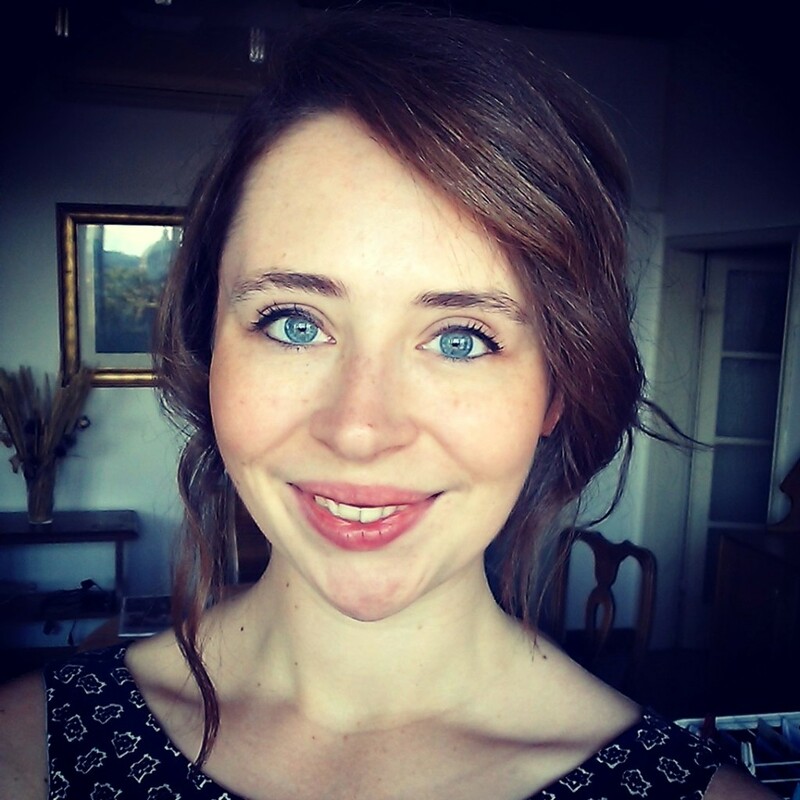 I pinned all my hopes on a Fulbright, and when that fell through, I decided to study Italian while au pairing for a crazy politician in Rome (oh, I have stories!) That quickly blew up in my face—I was close to waving the white flag and forsaking Italy forever, but I ended up teaching and interning with Context Travel for the bulk of my time in Rome. I was super naïve about studying abroad versus actually living here. But after countless ups and downs, I realized how much I STILL wanted to be in Italy despite the challenges (and maybe because of them—I’m a glutton for punishment). I headed home to figure out how to make it work. I took a chance on an internship in Florence and on au pairing a second time, but this time for a warm, wonderful bicultural family who made me feel so at home. Eventually, I connected with The Florentine and officially started there in January. 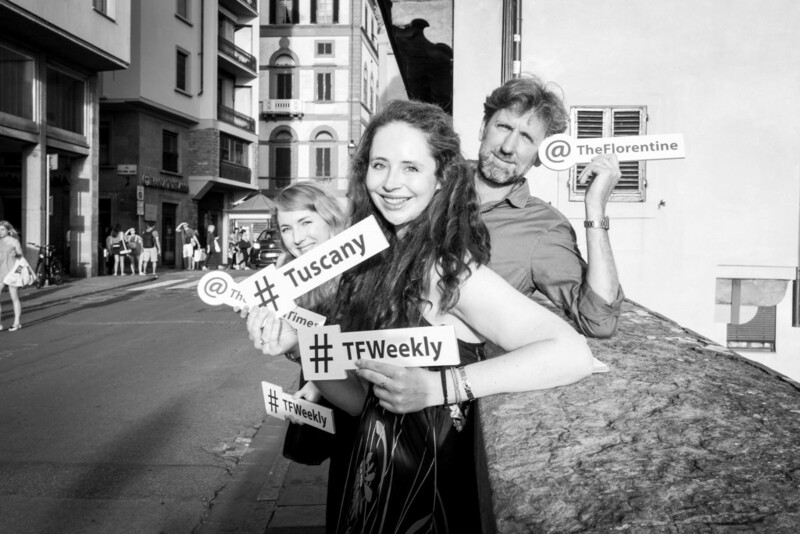 Working at TF has been a fantastic way to give back to Florence, to plug in to all my interests and to meet some of my favorite people! C: My vitamin D levels were dangerously low and an exciting opportunity at The Florentine was too good to turn down! An opening for Events and Features editor became available last Christmas and eccomi now! If I were to leave now, the ice cream shop La Carraia would lose so much money, it might go into liquidation. It’s for the best if I stay and support it. 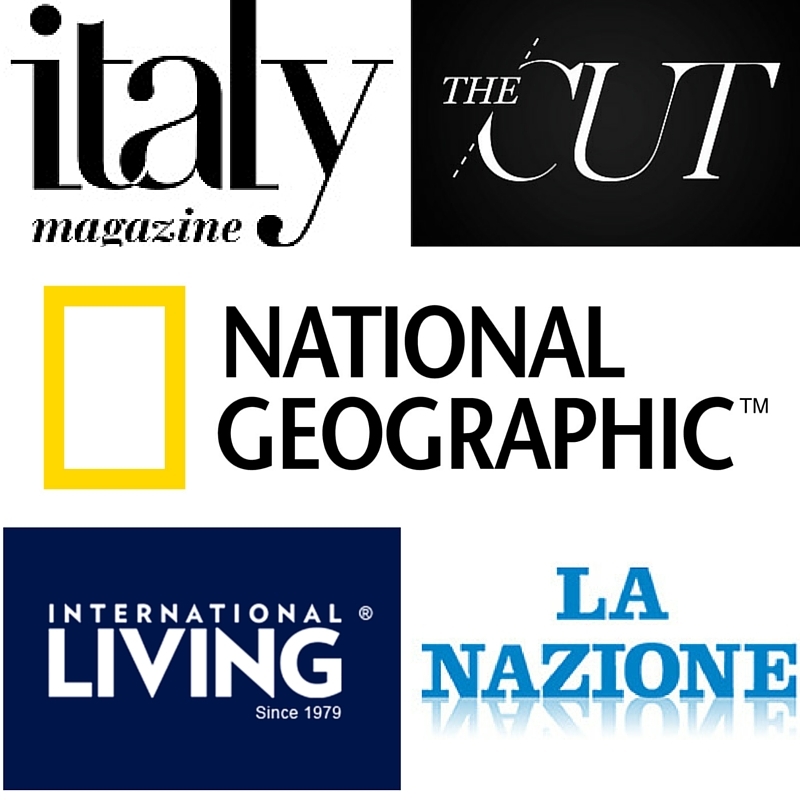 You work for one of our favorite magazines; The Florentine, what is that like and what are your other passions? M: I’ve always loved writing and knew I wanted it to play a big part in my career. But I hate spending workdays alone, staring at a screen. I love good company and feed off of others’ creative energy. 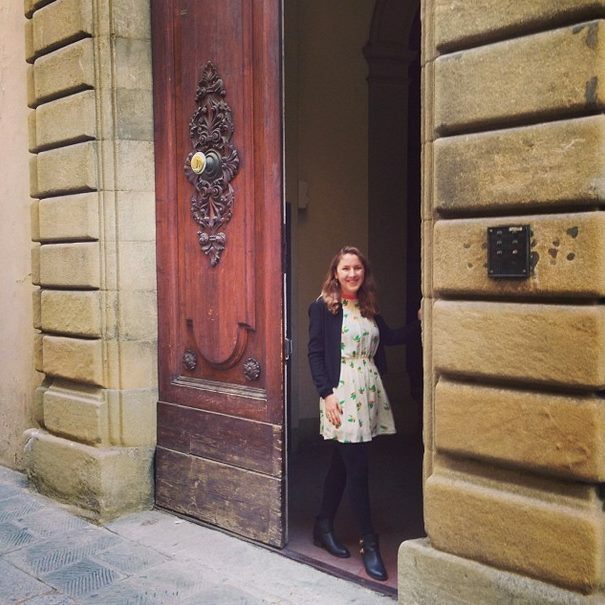 Working at The Florentine provides a very happy “via di mezzo.” Being in a bicultural, bilingual office is super stimulating, and I love that through social media we’re in touch with readers ALL over the world. Apart from the digital side, my dad is a community newspaper editor in the States, and he can talk for hours about how print publications cement communities. 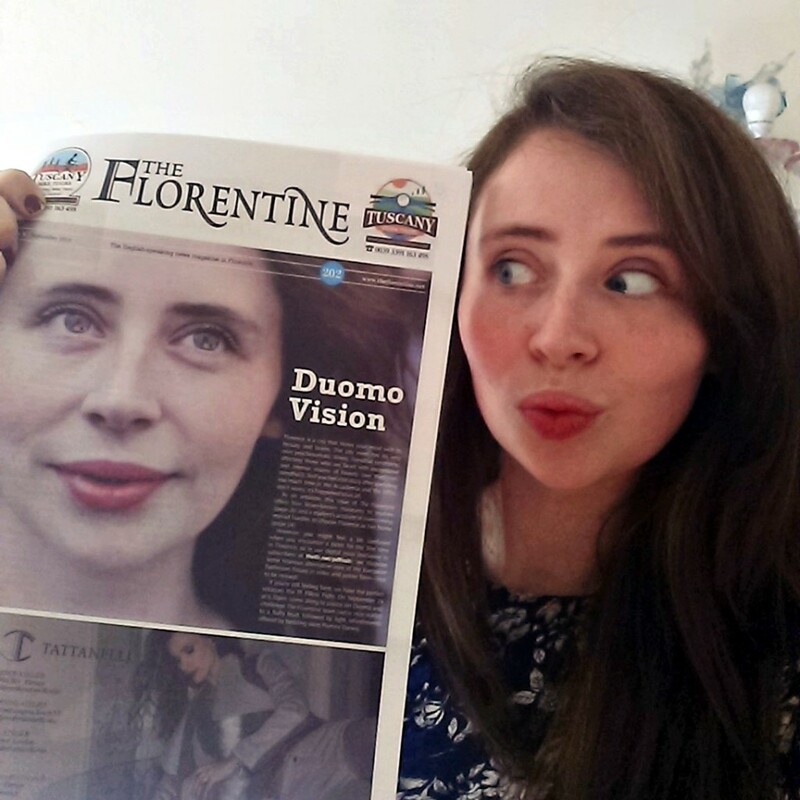 I see that with every new issue of The Florentine. It is incredibly cool—and humbling—to play a part in providing a resource that brings people together and celebrates this city. Other passions: food (I wish I loved cooking as much as I love eating—this is a serious dilemma, despite my Southern roots and Italian interests); films; fashioning outfits around weird Florentine market finds; all things arts-and-entertainment related. 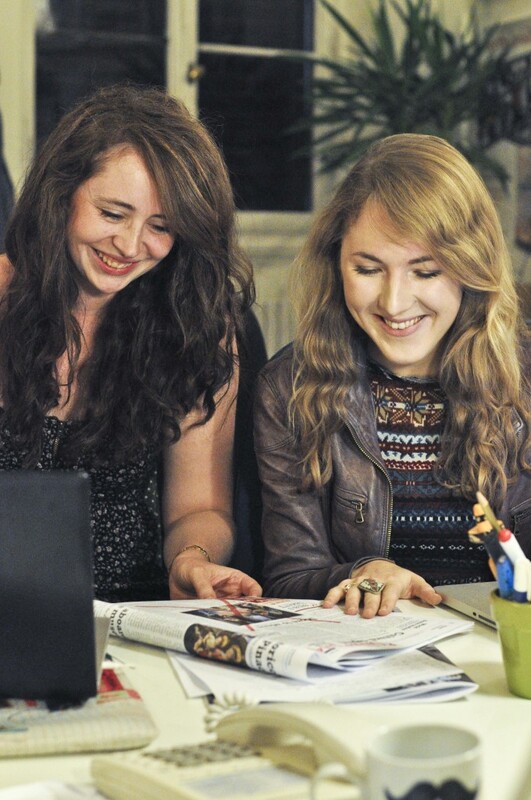 C:There is no shortage of dull moments or laughs at The Florentine office. From the panic of correctly answering the phone in Italian: ‘Ciao! Erm…Buongiorno…Erm…Presta? !’, to compiling the events list for the month and attempting to fit as many of them into my own schedule as I can, now and again we also find time to enjoy a drink together as a team, cementing the ‘Florentine family’ feel! What might surprise people about working at a magazine? M: One thing that I find amusing—a bit particular to TF—is the amount of translation required from English speaker to English speaker before we go to press! Occasionally I’ll write or blurt out some bizarre saying or American slang I think is common, but that turns out to be a Mississippi Mom-ism that I then must translate to my baffled British and Canadian colleagues. Even basic vocabulary varies: thanks mostly to Catriona, I now use words like “faff” and “keen,” which is sort of hilarious. THEN you throw our strange Italianized ways of saying things into the mix, and the fun never stops. C: Perhaps the spin-offs and extra activities which can become part and parcel of working there. As well as constantly being on the move meeting fascinating people from all walks of life for interviews, I have also had the chance to mould myself into an Italian version of the British Huw Edwards ( a BBC news presenter) when shooting videos for the Lorenzo de’ Medici School’s Youtube channel. I can attest to the weird turns your language skills takes when you work at The Florentine. What annoys you both about Florence? Tell me the truth! 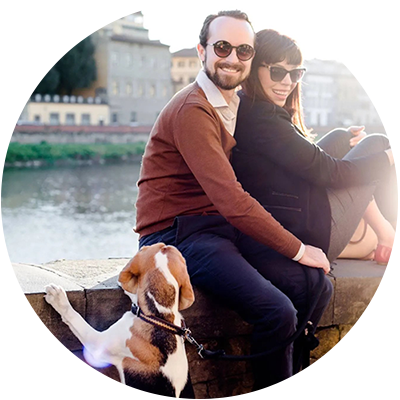 M: The usual: the complications of mass tourism, dog poop on the streets, the famous Florentine-tude, the back-and-forth with all of the bureaucratic stuff. C: The relatively frequent bus strikes, which have, on occasion, left me stranded after work. On the other hand, they led to my first ever ride on a moped. Nothing much beats the excitement of whizzing through the city, singing Lunapop’s classic, Vespa 50 Special, (apologies to Tommaso Galli who had to put up with me) so maybe I should, instead, be thanking ATAF for all their impromptu strikes. I promise you Mary that we pick up Ginger’s ‘doo doo’, Catriona, ATAF would be trilled to hear that! Do you think life in Italy is for everyone? Why does it work for you? M: Definitely not. I’ve always been messy and scatterbrained, and I can stretch a 2-minute story over several hours, so it’s a good fit. 😉 Honestly, if you’re motivated and want to make it work, you can. No sugarcoating, though: it helps if you’re a) young and have the grinta, or b) retired and have the money. In-between is tricky. I happen to love Italy because so far I haven’t found any other place where so many of the things I love are woven into daily life, and Italians know how to live well on low means. If you’re not prepared for the “low means” part, Italy isn’t for you. Georgette, I think it was you who told me this and it has stuck with me: you have to be a *little* bit crazy to choose this! It’s true—but I’m never bored, that’s for sure. C: It won’t be for everyone, but then no one place will be. I struggle with the humidity and high temperatures in the summer here and occasionally have to put my head in a bucket of ice water, but apart from that, the easy-going, live-in-the-moment lifestyle suits me right down to the ground. Enjoying the company of friends over copious amounts of mouth-watering food, wine and/or coffee…what could be better?! What advice would you guys give a newbie? M: Roam around outside of the “Renaissance theme park” areas! Always have a sense of humor and don’t sweat the small stuff! Say yes to every invitation (well, maybe not from certain characters…) Grow a backbone and be persistent when going after anything you want: you should be gracious-but-tenacious. 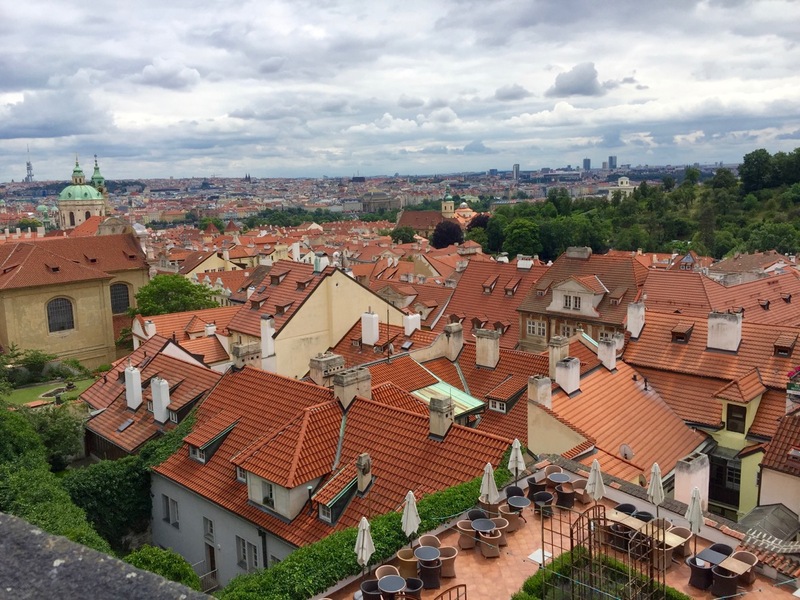 Also, if you can find an [affordable] apartment with a terrace, it is literally life-changing. C: Eat lots and eat often! Ice cream is acceptable at all times of the day and when you’re here, it would be rude not to try all the local specialties at least once. Good tips! Finds/places everyone should know about in Florence? A Ritroso, a tiny vintage boutique on the far end of Via Ghibellina. I love shopping and finding deals on clothes, which can be tough in Florence. But this place is stacked with steals. I have recurring dreams about a pair of Miu Miu boots I saw there once for 40 euro (way too small for me, or you can bet I’d be wearing them right now). Bar Brunellesco in Via degli Alfani is a favorite even though I’m actually rarely in that area. It’s the perfect place to bring a book and have a little coffee and cornetto “al fresco.” UniFi students are always there, but it’s rarely crowded. C: Secret brioches always taste better…late at night, near to via Torta in the Santa Croce area (follow your nose). You will stumble upon one of Florence’s secret bakeries. Knock quietly on the door, wait for Jonathan to take your order and devour a warm croissant. favourite bar for a cappuccino and pastry, sitting under the umbrellas in the little outside courtyard. Banki Ramen on via dei Banchi 14r. If you fancy branching out from pasta/pizza for a night, this Japanese restaurant is the perfect spot. The ramen is delish! Wow these are awesome, bravi! What’s the weirdest thing you have seen/experienced in Italy? M: It’s a jungle out there in the weird world of apartment rentals. My roommates and I were repeatedly instructed “NON DISTURBATE [our landlord],” and to instead refer to his veritable squadra of sidekicks, including a pseudo-plumber and one guy who I could only describe as the “mail monitor.” Slightly like an ongoing, Italianized Seinfeld episode. If you liken anything to a Seinfeld episode, I am a happy girl. Mary but that happens every Wednesday, you didn’t know that? -) What can you do here and nowhere else? M: Taste a tomato that will make you forget about anything and everything remotely wrong with the world. C: Play the game ‘Let’s hope I don’t die on a zebra crossing’, when the cars apparently see you as moving targets and speed up, rather than slow down. How did you make friends and assimilate – was it difficult? M: I definitely don’t feel totally “assimilated” and I know it shows. I’ve adjusted a lot and have ditched many habits, but I’ll never not love wearing bright patterns and watching bad American TV. (Full disclosure: I was “that girl” stalking the Kimye wedding party.) 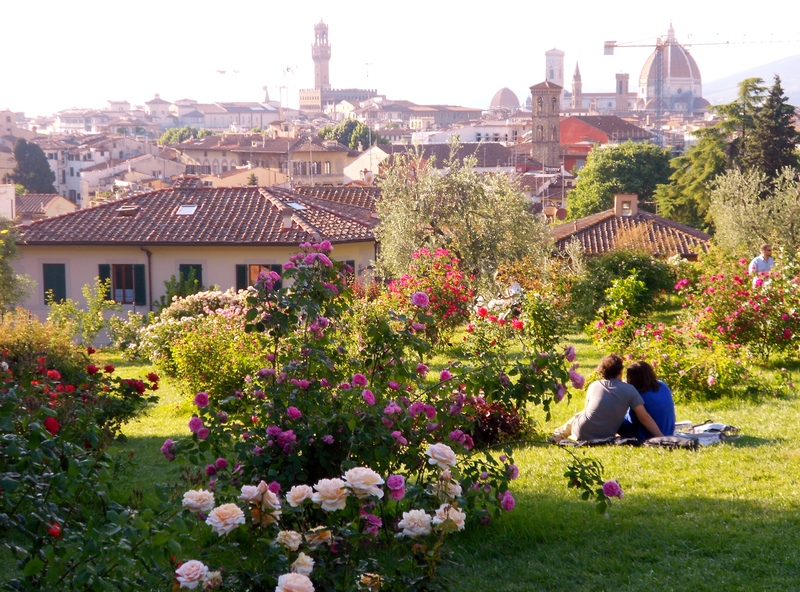 As for making friends, Florence is small—once you find one or two, the world opens up! I’ll admit it was easier to bond with Romans, but that’s partly because I was very intentional when I first arrived about living with native Italian speakers. There’s some truth to the Florentine stereotypes, but I also think this is an unfairly easy, all-purpose excuse for us “transplants” to fall back on, while not always making a big effort ourselves. I’m guilty of this and am working on it. C: I found it took time, but probably not longer than usual –patience is not my virtue. Finding wonderful Italian flatmates made a big difference (Barbara and Valentina  ), and then adopting their friends was a good tactic! 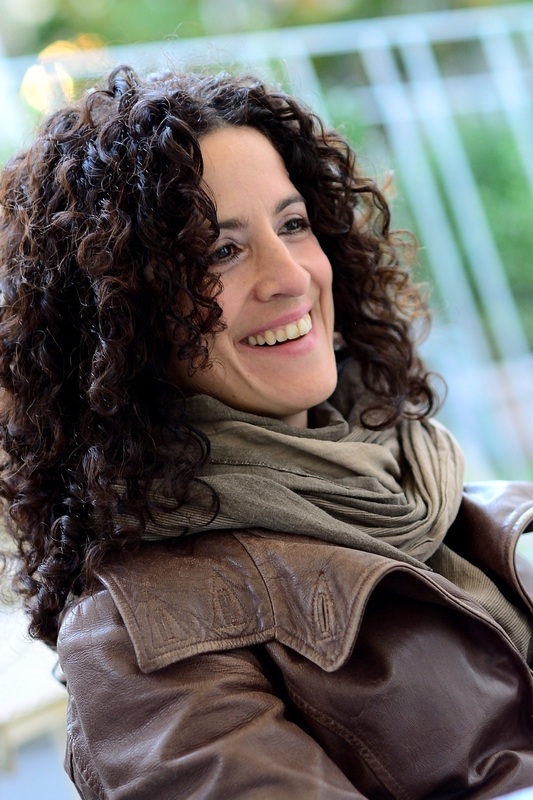 My line of work also puts me in a privileged position where I have had the chance to meet many wonderful expat friends, like yourself, Georgette! Mary, the fact you admitted stalking Kimye makes me like you ever more, Catriona smart girl and I’m happy we met too! Florence is full of amazing food, what is your favorite dish and foodie hideaway? M: I could eat the “tagliatelle del Magnifico” at La Cucina del Garga (http://garga.it) every day of my life! C: Narrowing my favourite dish down to one is extremely difficult…I am anything but I picky eater, especially if someone else does the cooking for me! High up on the list, and good for filling a little corner, are coccoli from the Antica Friggitoria on via dell’Albero. I could eat them all day if it didn’t result in obesity and an early death. For a slightly chaotic and ‘intimate’ lunch experience, with delicious home-made food, I head to Mario’s in San Lorenzo. I enjoy the no-fuss, scrumptious dishes which are anything but pretentious. Good choices! f you had to do it again (start a new life abroad) would you and why? M: Ask me again in a few years… 😉 At this point, though, yes, I absolutely would. I have no idea what the past two years of my life would have looked like if I’d decided to stay stateside, but I definitely wouldn’t have grown as much as I have or met so many memorable people in such a short amount of time. If I’d walked straight into stateside “water-cooler culture” after graduation, I probably wouldn’t have taken this chance a few years down the line—or I would have had a lot less energy to do it, anyway! C: Definitely! I love meeting new people and truly understanding a country and its culture. The only real way to do that is to move to the country itself! It’s always difficult at the beginning, when you don’t know a soul, but it just takes a bit of time and effort on your part; armed with the knowledge that you have to be the one to make the first move to make new friends, I wouldn’t hesitate to give it a go somewhere else! (Athough, I would miss my coccoli). If you had to make up a tagline for the city – what would it be? 😉 be creative! 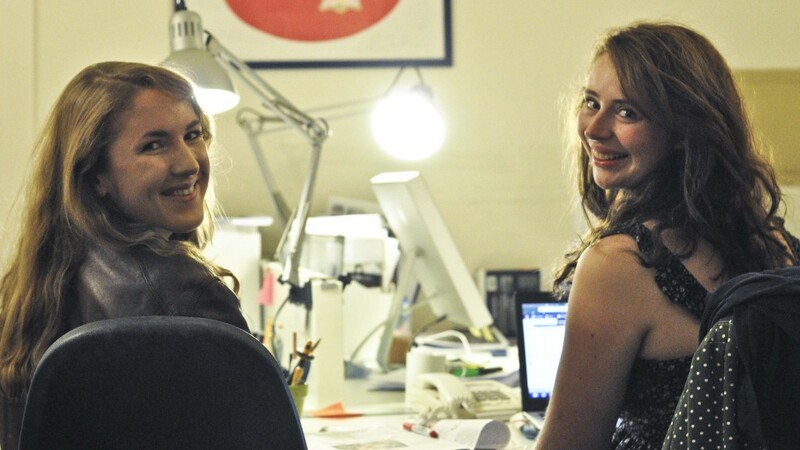 If we haven’t mentioned it 1,857,593,93 times these two lovely ladies live in Florence and work for The Florentine English newspaper, among other side jobs like we all did. If you want to engage in a pillow-fighting epic battle, I suggest you call them. Oh my gosh, Mary Gray said it perfectly–moving to Italy is for those who are “a) young and have the grinta, or b) retired and have the money.” I was of the “a” variety and can attest to grinta being absolutely key to success in Italy. Also, try to work it so you fall in love with someone who has property coming his way. 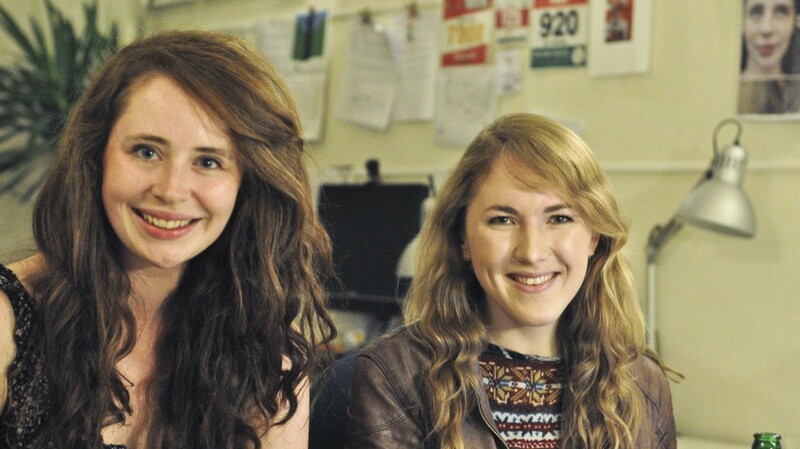 But seriously, love both of these girls and had fun reading about their take on life in Florence. Thanks for another great interview!